Pembroke is a town on the northern coast of Malta, which is considered to be the countrys newest town. To the east is Paceville, the nightlife district of Malta. The coastal town and tourist hub of St. Julians lies to the southeast, and the residential area of Swieqi lies to the south. The hilltop village of Madliena is to its west, and Bahar ic-Caghaq lies to the northwest. Pembroke covers an area of 2.3 km². The area hugs a coastal zone with a rocky beach. The highest point lies at 64 meters (210 feet) above sea level (at Suffolk Road, exit to St. Andrews Rd). The whole area was formerly a British military base from the 1850s to 1979. Pembroke is named after Robert Henry Herbert, the 12th Earl of Pembroke and British Secretary at War in 1859. The town of Pembroke was formerly part of St. Julians. Pembroke officially became a town by virtue of the Local Councils Act (1993). This Act recognised Pembroke as one of 67 localities in Malta, each having its own Local Council (today 68 localities). The current serving Mayor is Dr. Dean Hili (2013). Raymond Lanzon is the Deputy-Mayor. The first known buildings in the area of the town date back to the time of the Order of Saint John. The Knights built two Watch Towers on the extreme ends of the current Pembroke coast. The first of these is Saint Georges Tower, which was built in 1562 as part of a series of coastal watch towers financed by Grand Master Giovanni Paolo Lascaris. The second tower, Madliena Tower, forms part of a network of 13 coastal watch towers, collectively known as the De Redin towers, which were built between 1658 and 1659 during the reign of Grand Master Martin de Redin to protect the then uninhabited northern coast of Malta. These 13 towers adorn the official flag and emblem of Pembroke, reflecting the towns military heritage. However, it was the British who were instrumental in the development and fortification of Pembroke by building a military base complete with a hospital, cemetery, school, parade grounds, training grounds and shooting ranges. At this time, Pembroke formed part of Gharghur. Initially, troops were billeted in tents and the area was known as the Pembroke Cantonment. The first barracks were constructed between 1859 and 1862 overlooking St. Georges Bay and were named after Englands patron saint, St. George. Later, other barracks were built and were named after the patron saints of Ireland and Scotland, St. Patrick and St. Andrew. Fort Pembroke was built between 1875 and 1878 to safeguard the seaward approach towards the Grand Harbour situated approximately 6 km to the East, as well as to defend the right flank of the Victoria Lines. Its main armament comprised three 11-inch R.M.L. guns and one 64pr R.M.L. gun on a Moncrieff Mounting. The fort is surrounded by a ditch and glacis and contains underground magazines and casemated quarters for the garrison. The site now houses the Verdala International School. Later, between 1897 and 1899, Pembroke Battery was built nearby to serve the same purposes but housing newer guns with a longer range, protected by reinforced concrete emplacements. Pembroke Battery was armed with two 9.2-inch breech-loading MK X guns. Only one gun emplacement survives today, located between Burma Road and Dun Luigi Rigord Street. The military heritage of Pembroke is still evident as several buildings from the British era survive to this day. The Pembroke Military Cemetery marks the repose of 593 casualties, including 315 from the Second World War. The cemetery also houses the Pembroke Memorial which commemorates 52 servicemen of the Second World War whose graves are in other parts of Malta not falling under the care of the Commonwealth War Graves. Their names appear on marble plaques let into the plinth of the Cross of Sacrifice. The cemetery is open Monday to Friday. 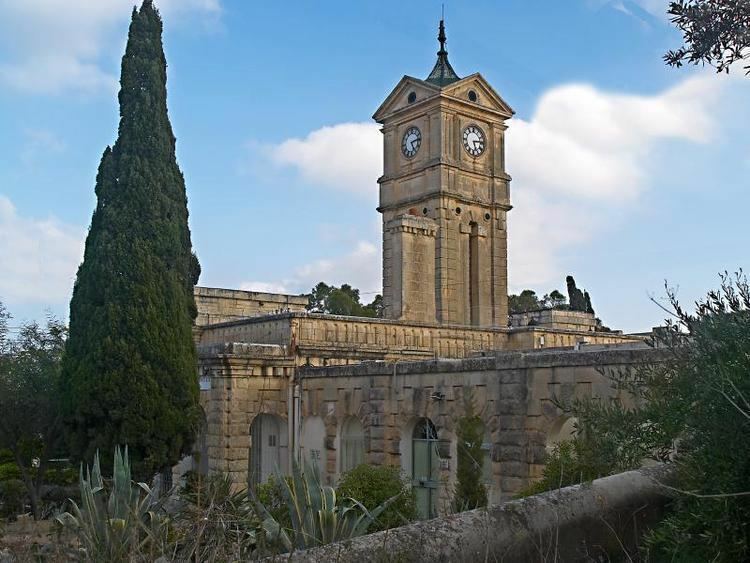 In 1915, during World War I, when Malta was an important hospital base for the British and Commonwealth troops in the Mediterranean area, the Army built what was then called St. Andrews Church Room. In 1932, plans for an extension to the Church Room were drawn up and funds were raised from civilians and supplemented by generous contributions from soldiers of both battalions quartered in Pembroke barracks. The church was known as the Christ Church Garrison Church. The service of dedication took place on Sunday 12 November 1933. The extension permitted over two hundred people to be seated comfortably. The building today houses the Athleta Sports Club at Burma Road. In 1915, the Australian Branch of the British Red Cross collected funds for the building of Australia Hall, a recreation centre and theatre, to stand as a monument to the wounded ANZAC troops that were nursed in Malta. Unfortunately, the ceiling of trusses and sheeting was gutted by fire in December 1998 but its sturdy four walls still remain standing and are pending a restoration project. During the Second World War and the ensuing blitz on Malta, Pembroke did not escape unscathed and has borne the scars from its share of the bombardment. In the later stages of the war, German prisoners of war were held in Pembrokes POW camp. By 1945 they reached 2500 prisoners and several of them were of Roman Catholic denomination. They built a small chapel which served the religious needs of the catholic troops and prisoners. The Chapel was formally blessed by the Archbishop of Malta Mikiel Gonzi in May 1946. During 1947, several prisoners were repatriated to Germany and on 9 February 1948, the last contingent of 787 Germans were embarked from Malta heading home to Germany. On 17 February 1948, No.1 (Malta) Prisoner of War Camp was officially disbanded. In April 1960, the Italian Navy Rescue and Salvage ship Proteo came to Malta and collected the remains of 121 German and 79 Italian dead of the Second World War who had been buried in the Pembroke Military cemetery. 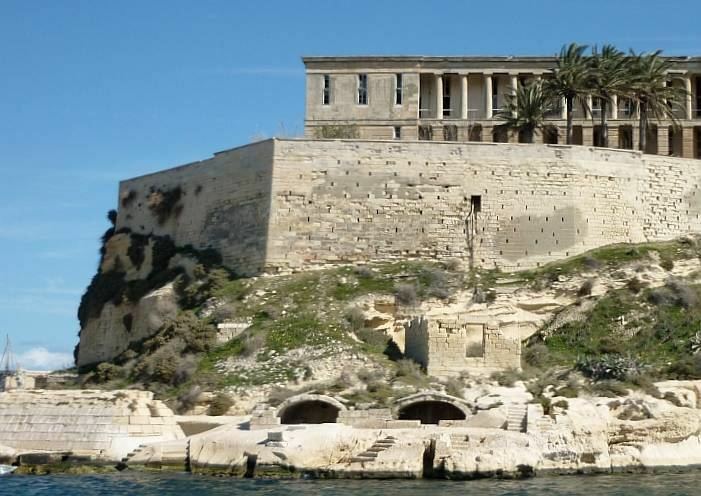 The ship sailed for Sardinia where the coffins were re-interred in the St. Michele Communal Cemetery, situated just outside the main town of Cagliari. After the war, Pembroke hosted various regiments that formed the backbone of the Malta garrison and other regiments were posted here for training camps. Some of the Barracks also hosted the families of those soldiers on longer postings. The British military base at Pembroke was run down in 1977 and the last British soldiers left Pembroke in 1979. On 16 March 1977, Earl Mountbatten of Burma, Admiral of the Fleet, took the salute as 41 Commando Royal Marines trooped the Regimental Colour at the parade ground by St Andrews Barracks. This ceremony marked the beginning of the withdrawal of British Forces from Malta. Since then, all the land which had been acquired by the British during their period in Malta has been relinquished to the Maltese Government.